Next day finger got swollen and stucked on place. So i went on x-rays to check, if everythnig is ok. And sure –it WASN'T! Doctor came to me and said 'girl, that's your picture.little front thumb bone is broken' … You can imagine my face and i get little dizzy for a momment... NOOO, it can't be true! But, it was. So, what to do now? I canceled Arco at first and staied really optimistics that i will climb on WC in Bercy. I have good experience with this wall from Chamonix, nice memories from european championship in Paris 2008 and knew, that i train good and hard for this comp... So, plan was to stay away from holds for a week (even, if i wanted to, i couldn't really grab a hold :S ), do some running and therapies. It accually wasn't so hard for me to wait that week to pass, because i believed, that it will be good after that. 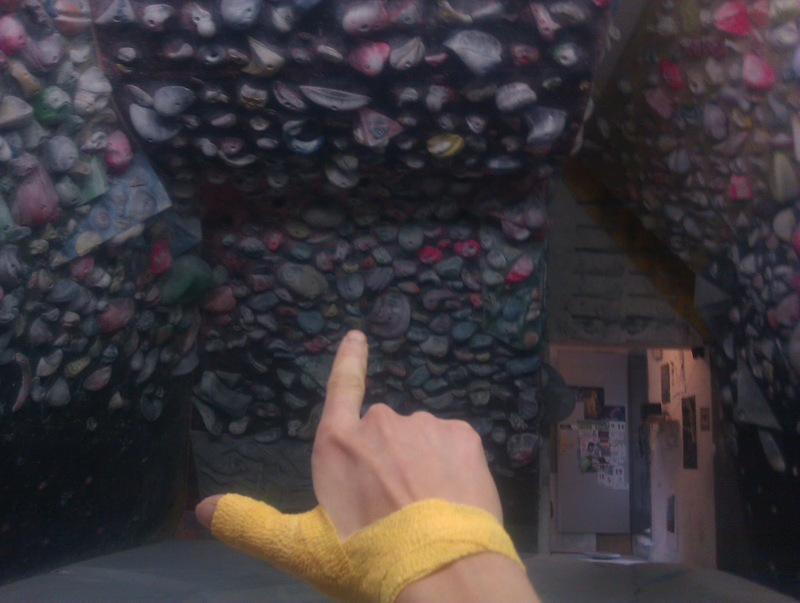 I really started climbing (or more moving on the wall) after a week, but there were still pain and i couldn't grab a lot of holds. But, situation was getting visiby better and better from day to day, so i didn't get out of hopes for WC. 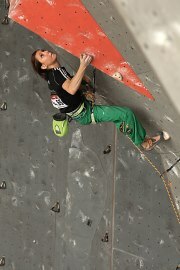 Till than, i will cross thingers for all Slovenia climbing team and also other on WC.